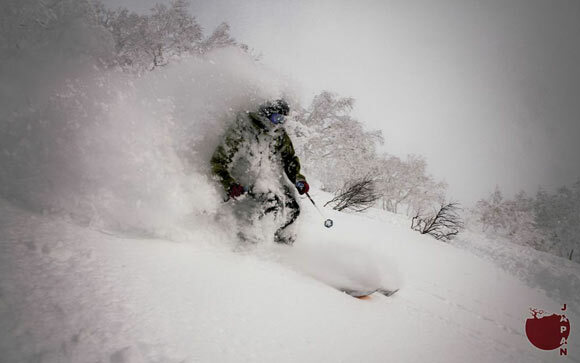 Lucas Moore quit his corporate job and cofounded SASS Global Travel company in order to see the world, so he knew he’d be remiss to pass up a chance to explore Japan’s famed backcountry, a land of perpetual deep powder that’s played host to two Winter Olympic Games. 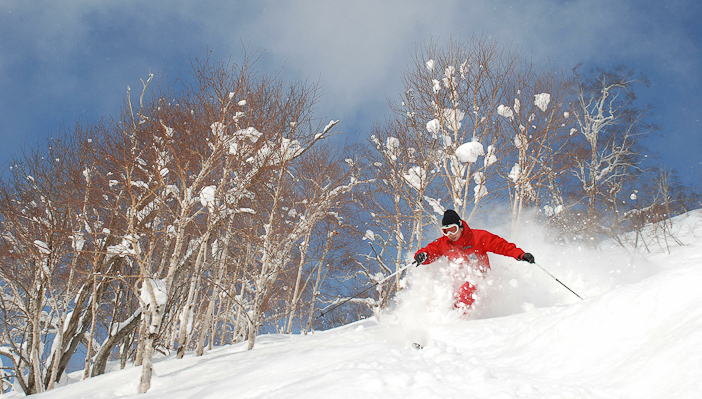 After rallying a group of skiers and snowboarders for an exploratory jaunt to the resorts in Hokkaido and on Honshu (the “main island”) in Hakubo, he’s making the case for why Japan should be on every powder devotee’s bucket list. Teva recently caught up with Lucas while he was in Japan. 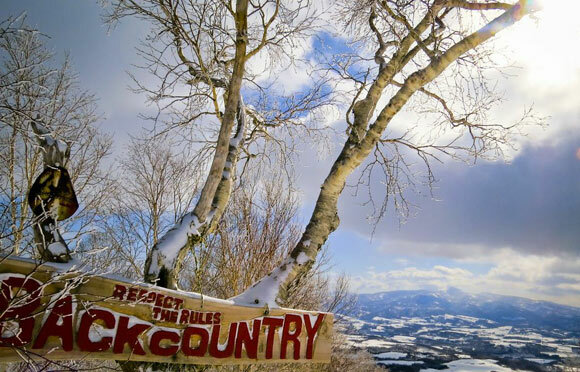 What’s the best part about Japan’s backcountry? So where is your favourite place to find it? What gear should we plan on bringing? Backcountry gear, including a beacon, shovel and probe. Whether your ski or snowboard, bring the biggest thing you own—the widest skis, the longest powder board. If you don’t own it, we can help you rent it here. Trust me, you’re going to need it. What’s the après scene like? 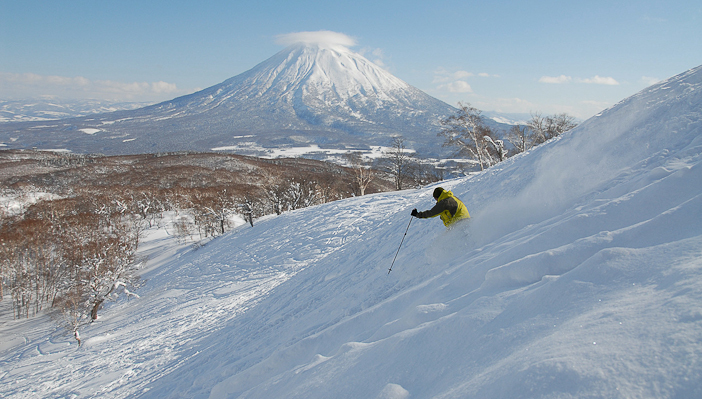 Niseko and Nagano are your typical ski-town types of places and offer a “choose your own adventure” scenario, especially in Niseko’s Hirafu village. The only difference is that it’s almost always a powder day the next day, so if you’re a true fanatic it can be difficult to forego the next morning and cocktail every night (although that’s certainly available if one is so inclined). What local food should we try? Okonomiyaki is a savory pancake grilled at your table, sort of like a Benihana-style dish but far more authentic and delicious. There are many different incarnations of it, and all are absolutely fantastic. I’ve never seen it in the US or really anywhere else in my travels. Ice Festival sculpture. Photo by Lucas Moore. Can you get by with basic Japanese? I wish that I had learned a few more phrases before I showed up, but some of the excitement on any trip is trying to communicate. There are usually a few people that speak some English, but most signs are in English and overall, this is a very easy country to get around in. The Japanese are extremely patient, always respectful and incredibly nice… so you can wing it and get by. Like anywhere though, if you at least put forth a little effort and try to speak their language, even as limited as that might be, they get very excited and will get you much further along than not trying at all. What’s worth going into the city for? We spent some time in Tokyo and many more days in Sapporo, the biggest city on Hokkaido. The most striking and obvious difference in Japan is that there’s simply no petty crime. You’ll see 20 bikes in a row in the center of Tokyo, and not one bike lock to be seen. While travelling we’ve left bags by mistake, gone back an hour later, and they’re still just sitting there. Being from North America it’s a hard thing to grasp and feels really weird at first, but it’s worth visiting a city that makes you feel that safe. Any tourist traps worth seeing? Tourist traps are a part of travelling and I would never suggest that anyone avoid them all. It’s usually what a country or place wants to present to its visitors, and can help you get a sense of what a culture cherishes. I will say this though… please don’t go for the cookie-cutter, cruise-line, single-serving, continental-breakfast-type travel. It would be like going to Disney World and thinking that America was like the Epcot Center. I guess what I am trying to say is… don’t only go to tourist traps. As for things that we’ve been sucked into: the popular Shinjuku neighborhood of Tokyo is really one huge tourist trap if you don’t know where to look. Having a good guide and an English subway app can be pretty indispensable there. 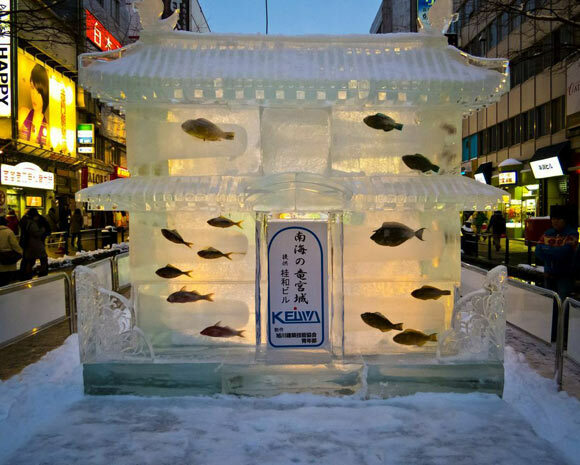 In Sapporo, things like the Ice Festival and Ramen Alley have been called tourist traps, but both are worth exploring and visiting (if you can find the latter). Just sneak off and peak behind the curtain whenever you can. We stumbled down a stairway in Sapporo and discovered miles of underground pedestrian tunnels and shopping plazas – a veritable underground city where we were the only foreigners around. What’s the biggest misconception about traveling to Japan? I would have to say that most people have no idea that it snows in Japan. It blows my mind that for some reason the North American public as a whole has no idea that it snows here. I have travelled to a few locations for skiing and personally have never seen this much consistent snow in my life. In the two months that we’ve been here, I can count the days without it snowing on one hand. In fact, as I say this, it’s positively puking snow —and has been for two days—and I’m sure that tomorrow is going to be another day of untouched powder turns. One thing we should know before we go? Know that you have to go. If you consider yourself a serious skier or snowboarder in any form, then you need to add this place to your bucket list. We’ll definitely be here next year, and if you come, we’ll probably see you the year after, too. Once you experience the snow here in Japan, it’d be pretty impossible not to come back. Reblogged from Teva’s Ember: A Place for Stories.